In addition to the journal's quarterly publications, the editors invite an eminent scholar and expert in the field to curate Financial Management articles into a special "Virtual Issue." Financial Management is open to submission from any author, any location, at any point in his/her career, without implicit or explicit bias. The Editorial Board focuses on work that is more risky and innovative than work that might survive the review process at other journals while recognizing interest and enthusiasm for work generated across the globe. Click here to learn more or to submit a paper. Author Toolkit - details resources to guide you through the publication process. NEW! 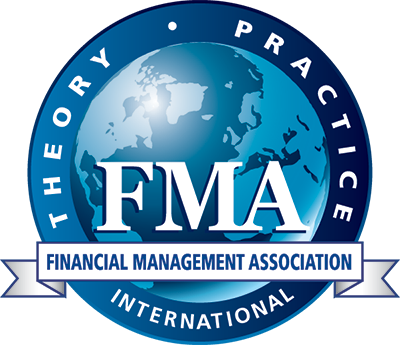 FMA offers library subscriptions and advertising opportunities in Financial Management through Wiley, the journal's publisher. For more information, please click the links below. Recognizing the importance of our Associate Editors to the smooth and effective operation of the journal through their timely, detailed, and supportive reviews, the Editors recognize Associate Editor(s) for exemplary efforts each year. Click here to view the winners. 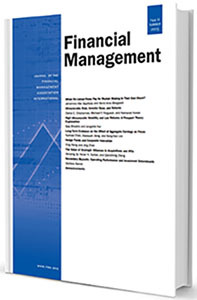 Every two years, Financial Management’s Editors, Associate Editors, and Advisory Editors choose the best papers from all of the journal articles published during the past two years through a double ranking procedure. Thanks to the generous support of Pearson, the winner is awarded a cash prize of $7,500 USD and the runner-up paper is awarded a cash prize of $2,500 USD. Click here to view the most recent winners.